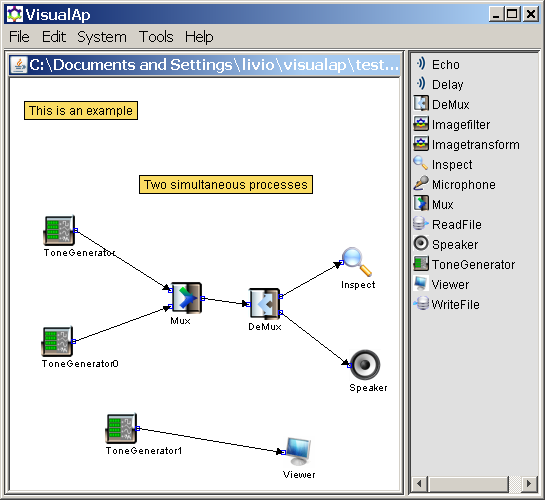 VisualAp can be used in order to perform audio processing, image processing, text and other process-driven emulation. VisualAp provides a visual framework based on lightweight components, called proclet. The user can create an application by selecting the components from a toolbox, configuring the parameters (via the Javabeans framework), and connecting the components together in order to set-up communication channels between the components.